It could have been made as a war movie, but it was not. 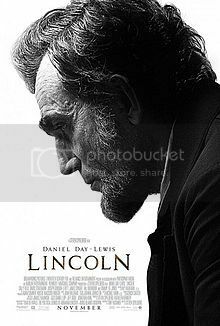 The movie is about the politics behind the passing of the 13th amendment and it shows Lincoln the visionary as well as Lincoln the ruthless politician. Even though the Emancipation proclamation was passed, Lincoln knew it could be overturned after the war. He needed a law, but did not have enough votes in the House (The Senate had passed the bill). So he and his Secretary of State Seward employ the services of three lobbyists who manage to get the required votes through some unsavory means. Even though the film is dialogue based and mostly shot indoors it makes for gripping viewing. Like the last over in Lagaan, there is tension is in the air as the votes are counted on the fateful day. Daniel Day-Lewis simply becomes Lincoln as if the photographs we had seen just came to life. His dialogue delivery is amazing, whether it is narrating a funny anecdote in the Cabinet meeting or explaining Euclid’s philosophy to telegraph operators at 4 am. It is his movie and his performance just mesmerizes you. Apparently he first did not want to act in this movie and later he turned around. It would be hard to imagine anyone else in this role. Another interesting aspect of the movie is the debate in the House over the bill. The Democrats wonder what will be next after the 13th Amendment. Will Lincoln or the abolitionist Thaddeus Stevens consider Blacks equal to Whites? Or will they go so far as to give voting rights to colored people and women? The amount of attention paid to details is also amazing. In an interview with NPR, Tony Kushner explained how he made sure that the words used in the movie were words used during that period by consulting the Oxford English dictionary. The sound editing team made sure that the sounds were as accurate as possible. Visually rich and technically perfect, this movie was quite fascinating for me because it showed a human Lincoln and not the deified version.